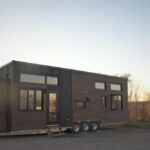 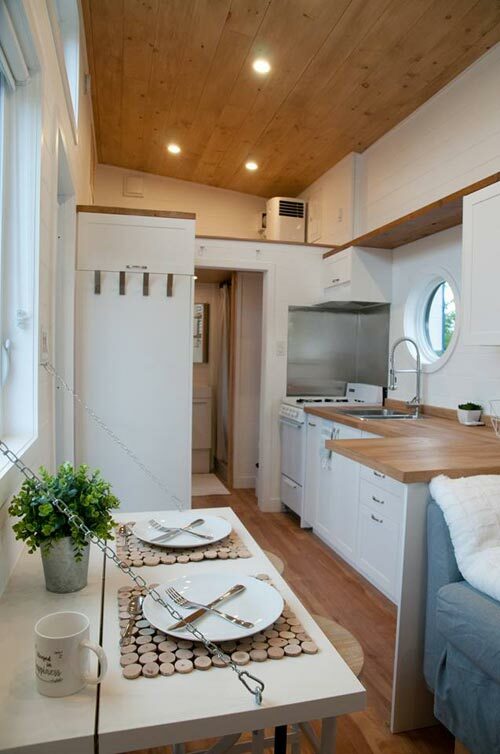 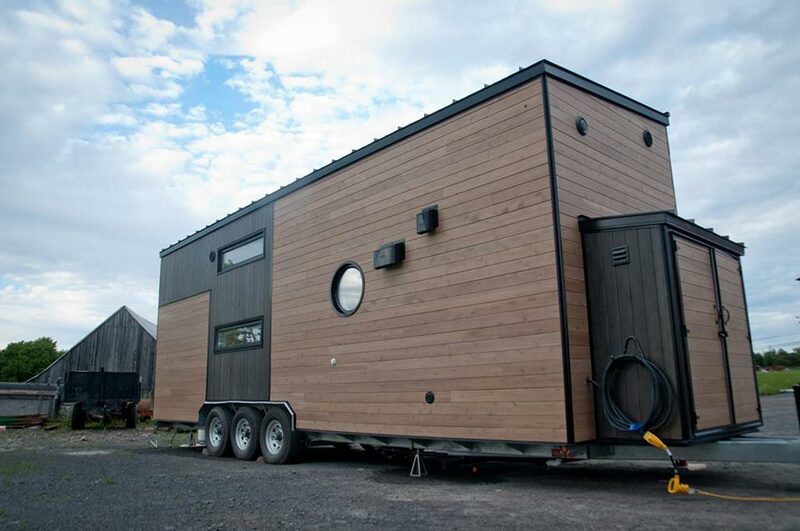 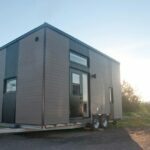 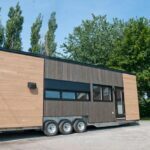 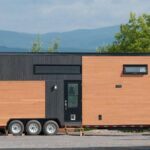 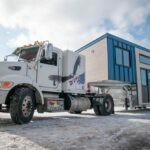 The Acacia is a modern tiny house on wheels built by Quebec-based Minimaliste. 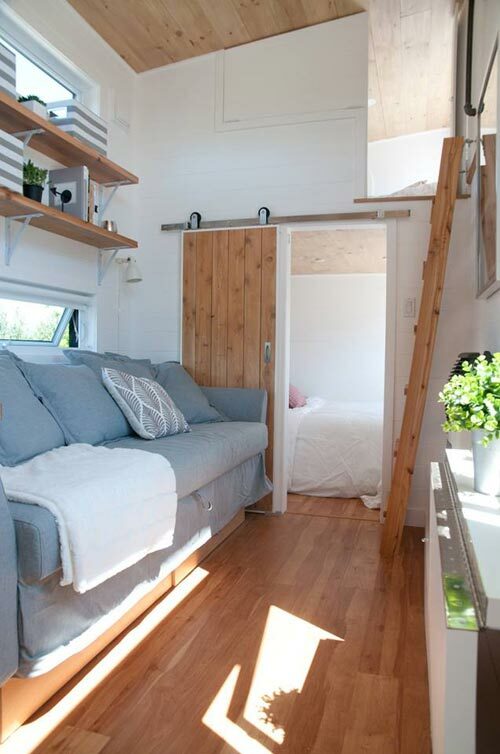 A main floor bedroom, loft bedroom, and sofa bed provide plenty of sleeping options for a family. 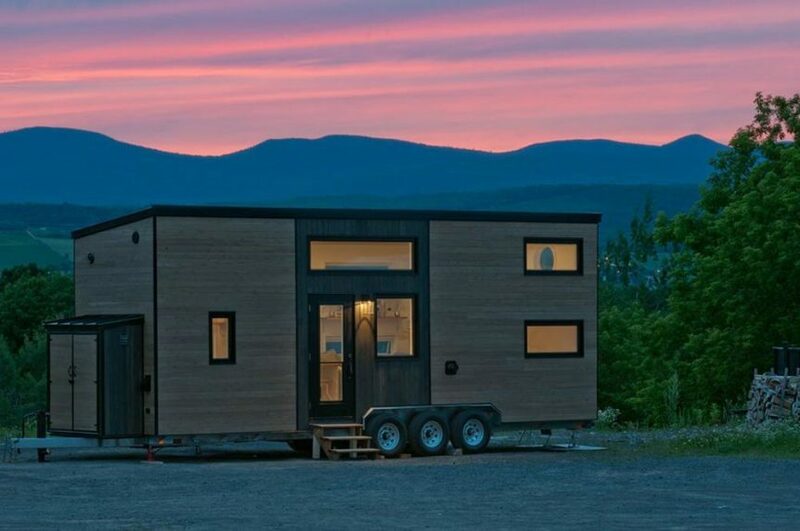 The Acacia’s two-tone cedar siding and dark trim create a gorgeous exterior. 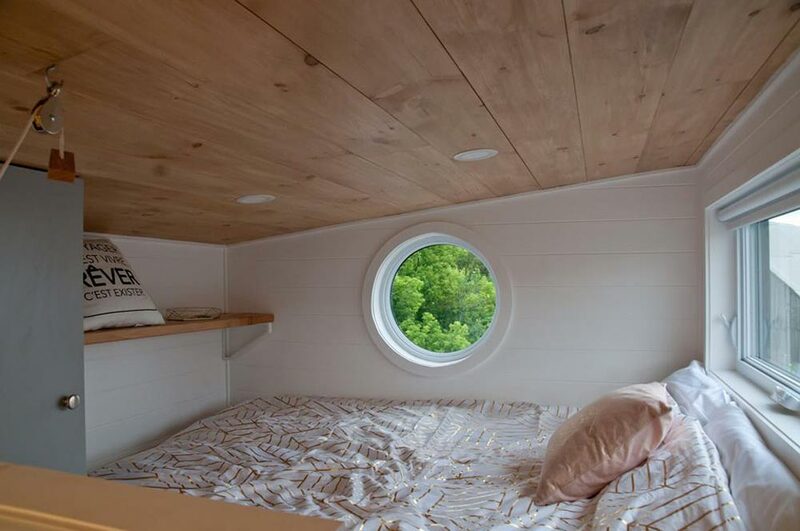 Large windows and a full light front door fill the house with natural light. 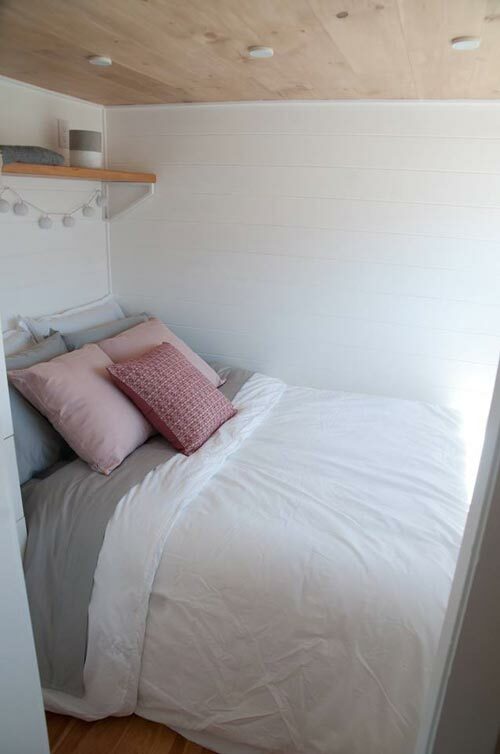 The main floor bedroom is located at one end of the house and has a barn door for privacy. 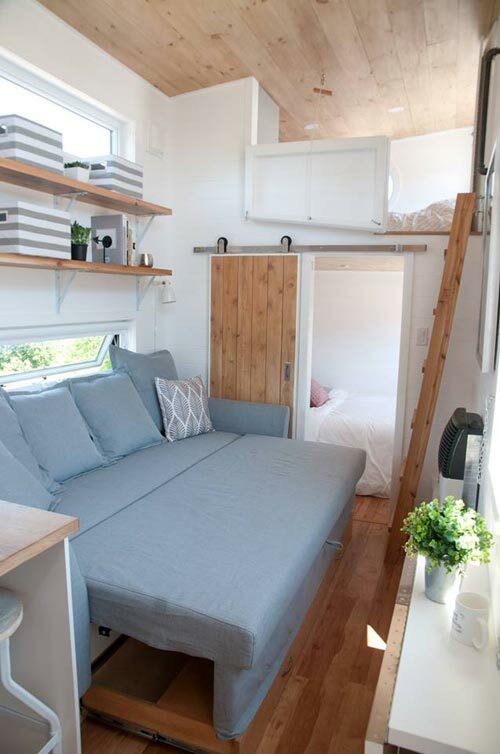 The bedroom loft above is accessed by a ladder and has a fold down wall partition for extra privacy. 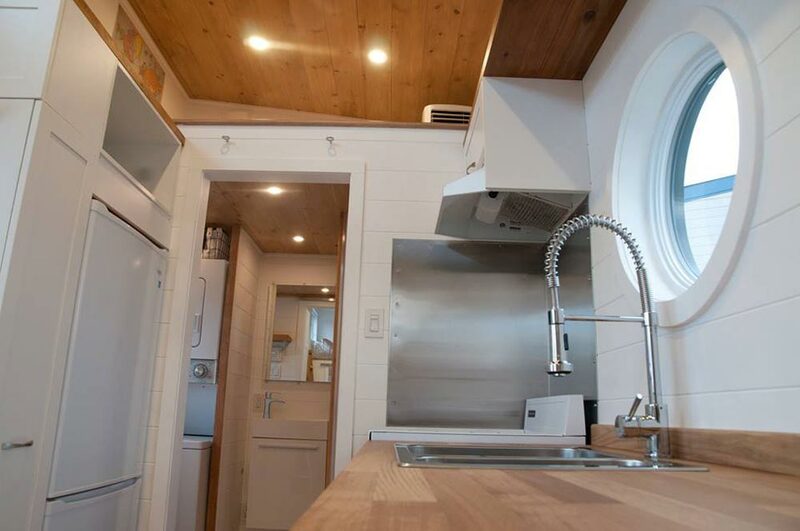 The kitchen features an L-shaped butcher block counter, white cabinetry, a 4-burner freestanding range, a stainless steel double sink, and a full-size refrigerator/freezer. 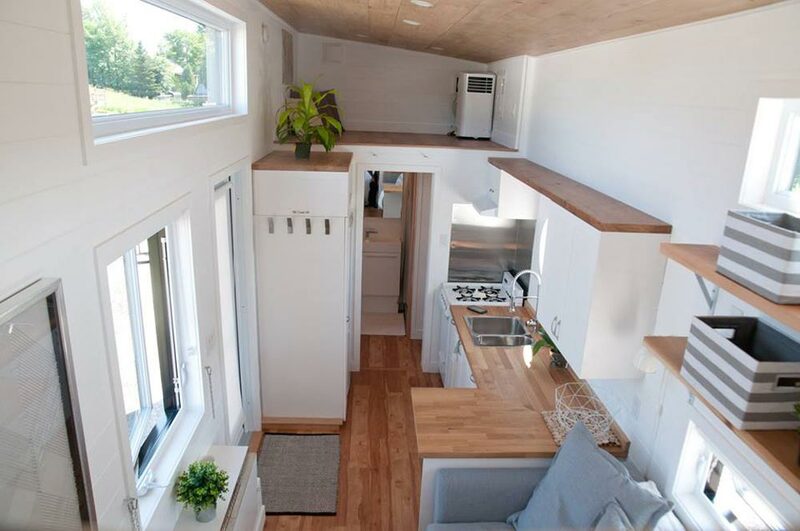 Next to the kitchen is a fold down table. 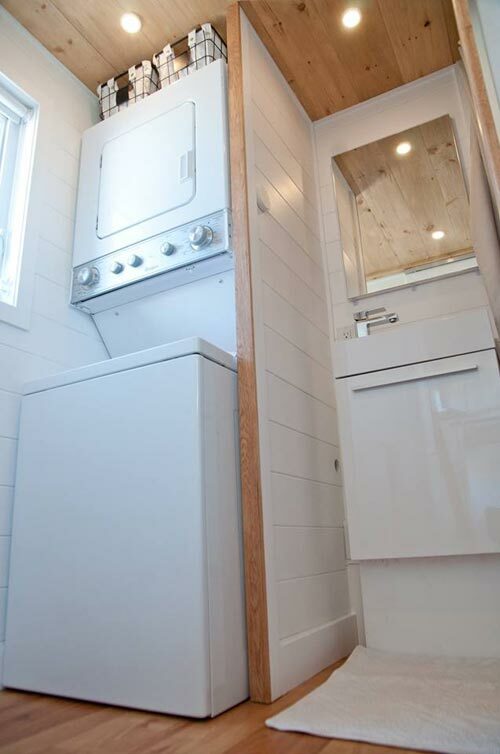 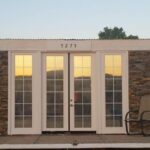 The bathroom has a vanity, stackable washer/dryer, composting toilet, and shower with stainless steel surround. 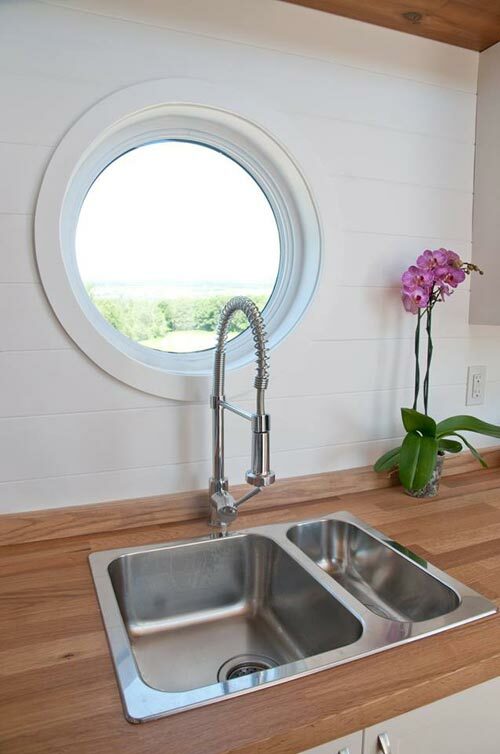 For more information on the Acacia you can visit the Minimaliste website.